4. Electrolytic grinding, improve mod manufacturing precision and surface quality. Electrolytic grinding wheel scraping the oxide film: instead of grinding metal, thus small grinding force, grinding heat is small, does not produce grinding burrs, cracks, burns and other phenomena, the general surface roughness can be better than Ra0 .16μm. In a addition, wheel wear is set small, such as grinding carbide, silicon carbide wear large grinding wheel of about 400% to 600% by weight of the carbide off, electrolytic grinding, the grinding wheel wear only the amount of carbide material removal amount of 50% to 100 %. 5. 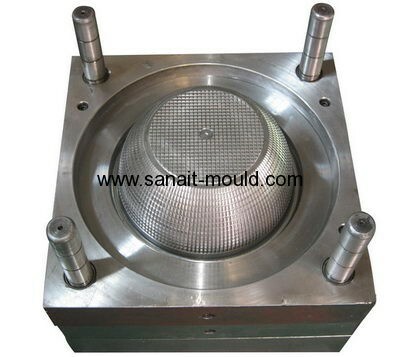 For dimensional tolerances in precision grinding precision molds 0.01 mm or less to pay attention to environmental temperature, requiring constant grinding. The calculation shows, 300 mm long steel, temperature 3 ℃, the material changes about 10.8μm ,(10.8 = 1.2 × 3 × 3, the amount of deformation per 100mm 1.2μm / ℃), each finishing operations are required to fully consider the impact of this factor. 6. The elimination of the grinding stress may be 260 ~ 315 ℃ mold immersed salt bath 1.5 min, and then cooled at 30 ℃ oil, so that the hardness can be reduced 1HRC, the residual stress is reduced by 40 % to 65%. 7. Electrolytic grinding, improve mold manufacturing precision and surface quality . electrolytic grinding wheel scraping the oxide film: instead of grinding metal, thus small grinding force, grinding heat is small, does not produce grinding burrs, cracks, burns and other phenomena, the general surface roughness can be better than Ra0 .16μm; addition , wheel wear is set small, such as grinding carbide, silicon carbide wear large grinding wheel of about 400% to 600% by weight of the carbide off, electrolytic grinding, the grinding wheel wear only the amount of carbide material removal amount of 50% to 100 %. Reasonable choice of grinding parameters, the use of radial feed grinding method even smaller amount of fine grinding. As appropriate to reduce the radial feed rate and wheel speed , increasing the axial feed rate, so that the grinding wheel and the workpiece contact area is reduced , cooling conditions have been improved in order to effectively control the increase of surface temperatures.